What Are The Components Of Adhesive Packing Tape? 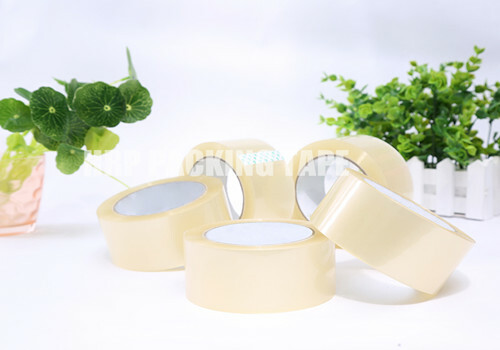 Adhesive Packing Tape is a kind of tape which is formed by roughening one side of the original film and then being glued by a series of processes on the basis of bopp original film. The transparent tape is a colorless and transparent tape. The transparent tape manufacturer introduces you to what constitutes scotch tape. The first is the base material. The base material is the basic component of the glue used to produce the transparent tape. The hardening of the base material to make it a solid material is the curing glue used in the production of the transparent tape. The adhesive layer of the transparent tape has a certain toughness and is resistant to impact and is not easily peeled off. This is all about the toughening agent. Adhesive Tapes is moderately viscous. Scotch tape is not too sticky to stick to the object, nor does it have any effect due to non-sticking. The reason why the scotch tape is moderately viscous is mainly because the use of a thinner reduces the glue. Viscosity. Finally, it is a filler. This is not a general filler. It is used to improve the mechanical properties of the rubber and make the transparent tape fully function. Previous: Why Is Acrylic Packaging Tape Aging? Next: What Are The Ways To Remove Glue Left By Clear Packing Tape?